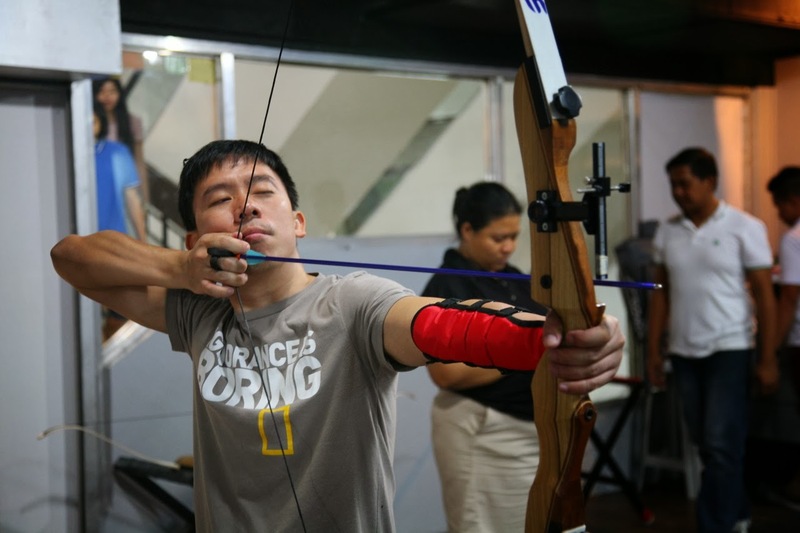 If you want to try something new when you're in Manila, and you're a fan of Oliver Queen or Katniss Everdeen, or you're just a prepper who wants to learn a new skill to prepare yourself for the coming zombie apocalypse, then the Kodanda Archery Range in Makati might catch your fancy. Kodanda (the word is Sanskrit for 'He who has a bow,' referring to god Rama and his bow), is located in the basement of Makati Cinema Square, a mall in the central business district of Makati. I and +Arvy Villamarzo got invited to try a session of archery by our friend and we were eager to try it out. Another blogger, Monica, was also there to join us. We arrived in the air-conditioned archery range just before six in the evening, with ample time for about an hour and a half of archery session. We were introduced to the one in charge and we were given the gear right away. I was fitted an arm guard for my left (since I am right handed), finger tabs, and given a recurve bow and a quiver with five arrows. An instructor then gave us the basics, everything from the right way of holding the bow to how to load the arrows, the correct stance of the body, and safety procedures to follow when handling the equipment. We then lined up on the lanes. There were seven 10-meter lanes in the range so there's plenty of room for all of us. I started getting the hang of it as I shot one arrow after another. I didn't hit the bulls-eye right away but I feel like the sport is something that I can do and get better at. I've read about archery being a form of meditation in Japan, and I felt that it does make you relax and focus. You'd be mindful of your breathing and your posture, and you have to find that moment when you feel it's right to let go of the arrow and watch it zip in a split-second to the target paper. Imagine how calming it is if you imagine it's your enemy's face in there. At the end of the session I enjoyed it so much that I promised I will be back. Maybe after surfing this will be my new sport too. It might also be useful should I find myself in the Hunger Games, or if there's a zombie rushing at me and I happen to have a bow and arrow. 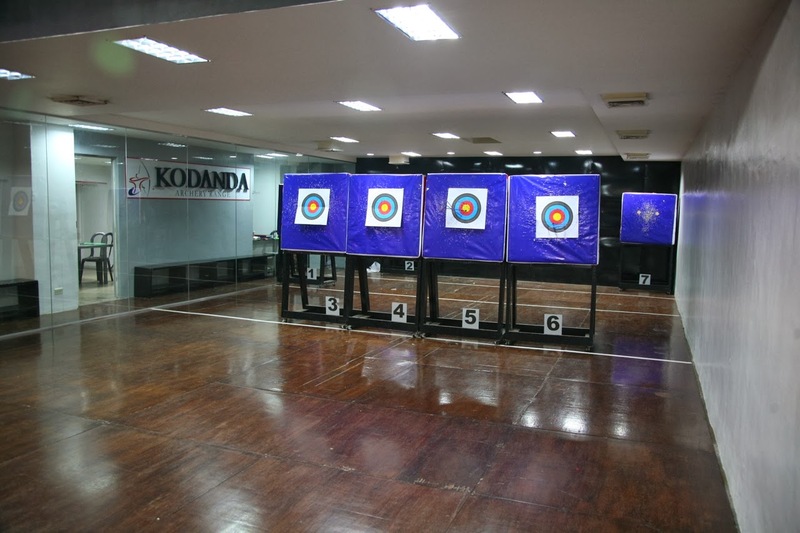 The Kodanda Archery Range is located in the upper basement level of Makati Cinema Square, Chino Roces Avenue, Makati. 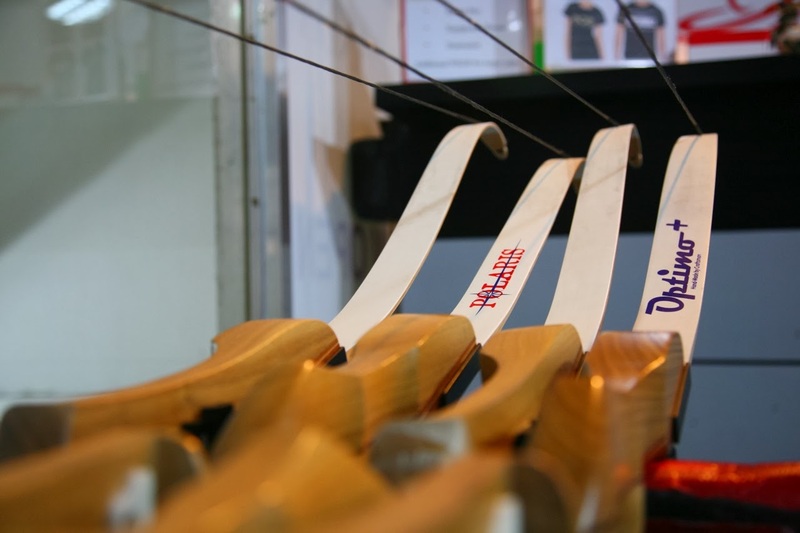 The archery range is open from 10:30am to 7:30pm Mondays to Sundays. 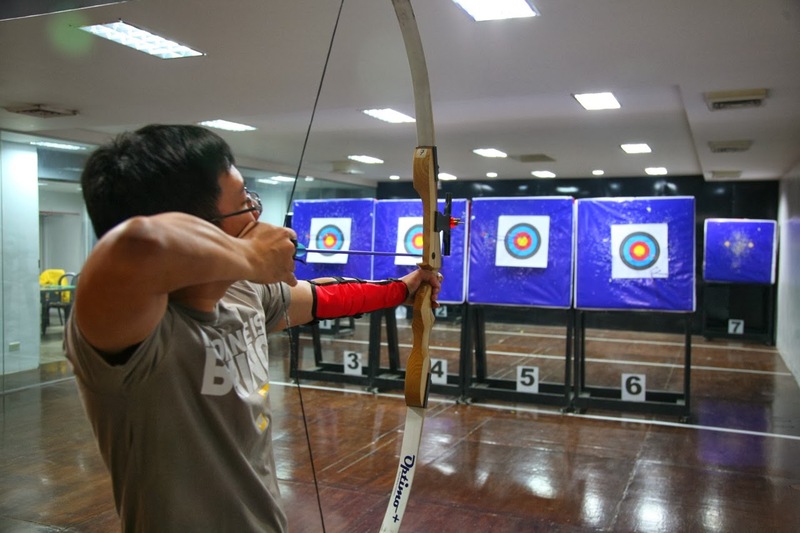 Rate is PhP550 an hour, which includes the rental for the bow and other equipment, the use of the range and coaching from the instructors. 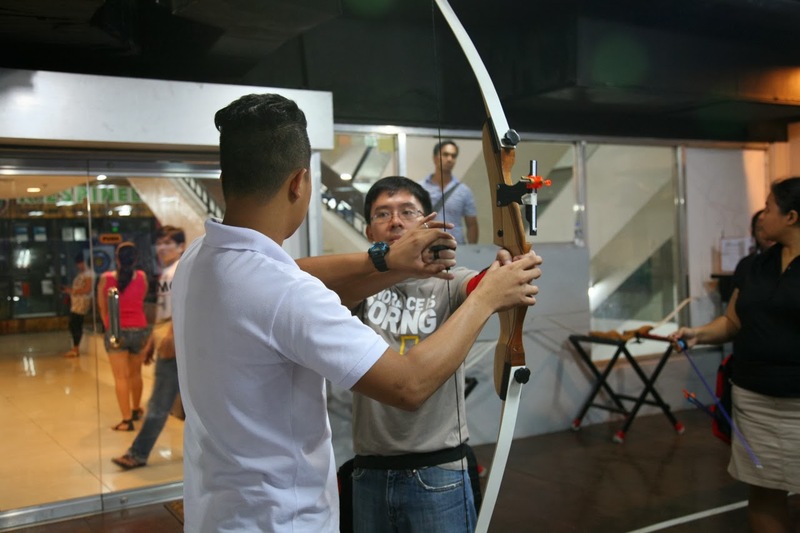 They also offer archery lessons, PhP 6000 for ten sessions with a dedicated instructor.